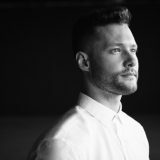 Spin This: "If Our Love Is Wrong," "Dancing On My Own," "Give Me Something," "Good to You," "Stop Myself"
Floating high off the magnitude from a soaring balladic cover of Robyn’s “Dancing on My Own,” Britain’s Got Talent finalist Calum Scott spared no time in seizing the opportunity to put out a full-length record. 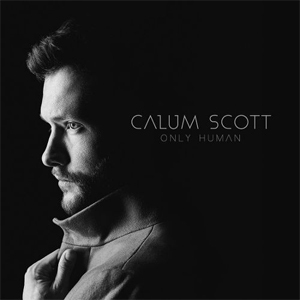 And one that tapped into revelatory songwriting and a highly-involved process, since Scott is involved in penning twelve of the tracks, all the originals, inside the deluxe version of his glowing debut LP, Only Human, on Capitol Records. Only his choice of covers, the acoustic and intimate “Not Dark Yet” from the Bob Dylan songbook and “Dancing On My Own,” are void of his pen. But it is abundantly clear that Scott’s vocals are an attractive element to the soundscapes. With a mix of Americana soul and a refined, less-nasally Adam Levine grit, the 29-year-old singer has a presence that calms the soul and works succulently with the emotive lyricalness of his newer compositions. It is masterfully exercised on the opening cut, “If Our Love Is Wrong,” where Scott takes the Luther Ingram proverb and treats it with a modern-day interpretation. “I don’t know if they’re gonna like it but that only makes me want it more/cause I’m nobody’s bad news,” he sings, justifying his love to a world that often shuns against his own sexuality. However the song does bury much of the queerness in a clever poetic manner (“Skin and bones I’m only human”) in order to tap into the crossover, and it works. “If Our Love Is Wrong,” a heartfelt song about chasing down a good love, is written in a way that is quite universal and relatable. Fast forward to “Stop Myself (Only Human,” where a tortured Scott is now chasing down an unrequited love and is collapsing in despair (“I’m about to do the thing I know I shouldn’t do”). It sounds like he’s drowning in a pit of potential suicide, but that’s what love does sometimes. There are ups and many downs (“Come Back Home”), and the whole chase of it all (“Good to You”). And like a good book that plays out in stages, Scott goes from the chase (“Hotel Room”) to losing it and then wallows in heartbreak and after-hours regret (“Good to You”). 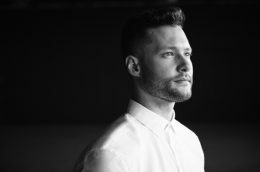 Much of the album is produced by Fraser T. Smith, who helps pushes the album into gleamy pop excellence. And with Oscar Gorres, Phil Paul and Jayson DeZuzio on board, everything pretty much rises above expectations. “Rhythm Inside,” possibly the most upbeat of the originals, sounds so reminiscent of Disclosure/Sam Smith even if the closing moments of the verses sound like it’s borrowing a few germs from Elle King’s “Ex’s and Oh’s.” There’s also “Give Me Something,” which plays like cold Tyler Glenn on rushing Nashville pop, and the shuffling alt-rock of “What I Miss Most” that feels like it’s been splattered with arena rock glitter. While discussing the palette of music Scott is playing with, one can’t turn away from “Stop Myself (Only Human)” as it briefly quotes Human League’s “Human” while running through a cascade of shimmery synths. But much of the disc is tranquil, intimate and reflective with ballads like “You Are the Reason” and “Only You” giving off Adele-like grace. But let’s drop the obvious lamentation: How Scott sings, with all of its angelic undertones and rapturous falsetto, almost leaves the disc barren of powerhouse uptempos or anything rhythmic challenging. Even the Tiesto remix of “Dancing On My Own” is only a mild update with copious icy beats. Still, it’s been a good minute since we heard a pop record pulled off with such finesse, especially for a debut. Many will instantly mark it with a reflex comparison with Sam Smith’s In the Lonely Room. Scott may not like that, but he will have to deal with it until the next round. He should be grateful enough that he’s pulled off one of the best pop records of 2018.